Good morning again! 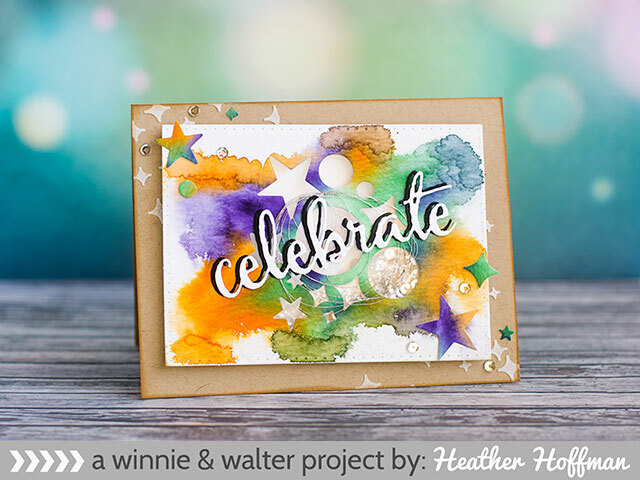 Welcome back to another day of sneak peeks with Winnie and Walter! 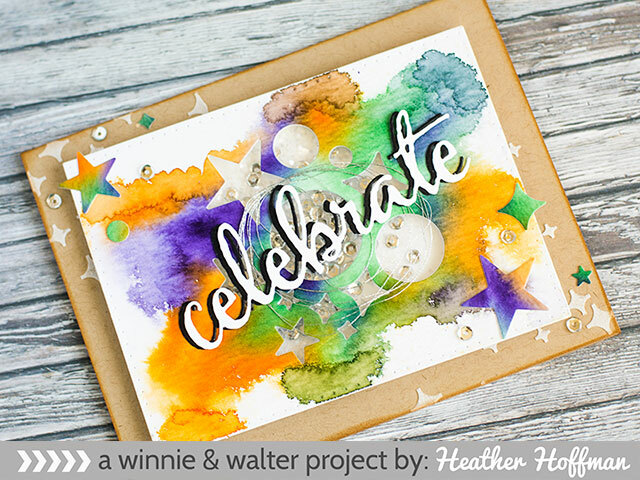 Today is Day 3 of Design Team projects and some more wonderful sneak peeks on the Winnie and Walter Blog - today has some of my very favorites included in it! 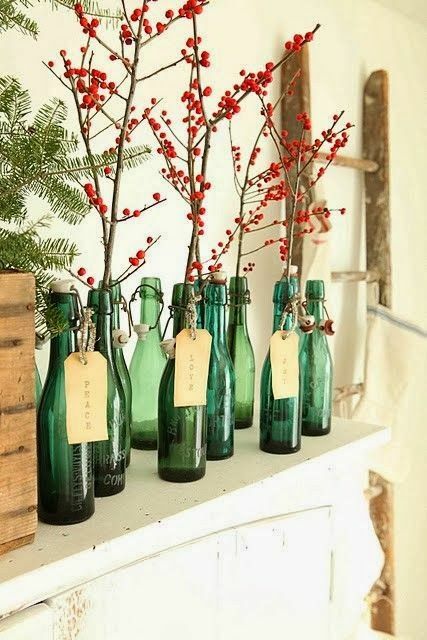 Oh how I love the beautiful floral inspiration you will see today from everyone! Swoon! 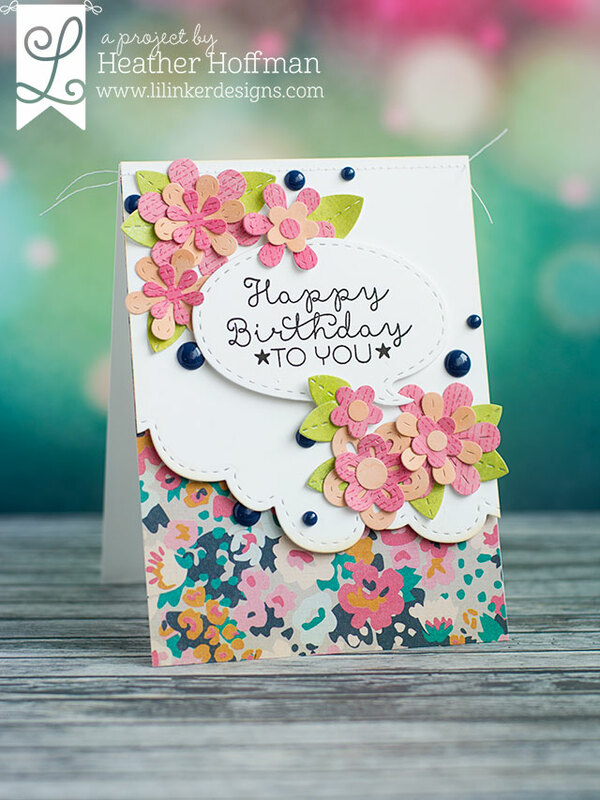 For my card, I used Maggie's Roses Cutaways, as well as Essentials: Audrey Cutaways and The Big, the Bold, and the Comfort Cutaways. 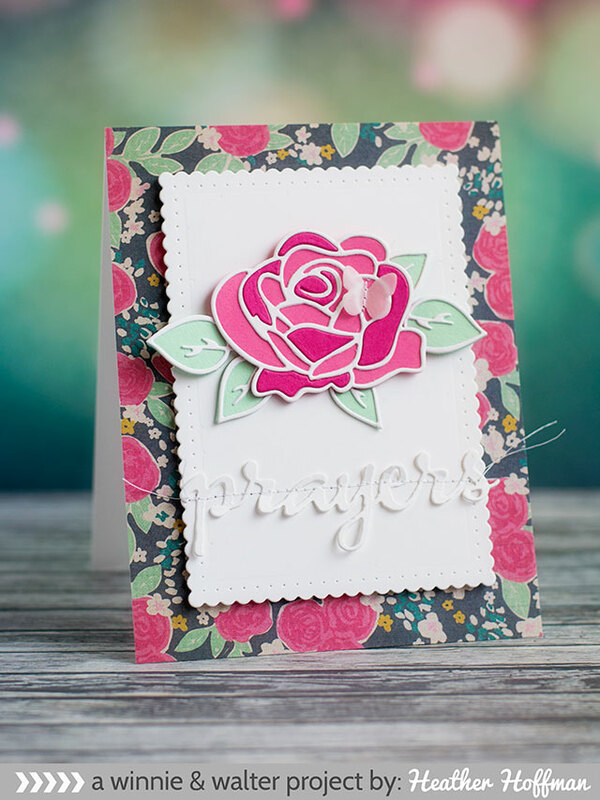 I absolutely LOVE this new rose die! My favorite feature is the way the solid outline fits PERFECTLY behind the outling. 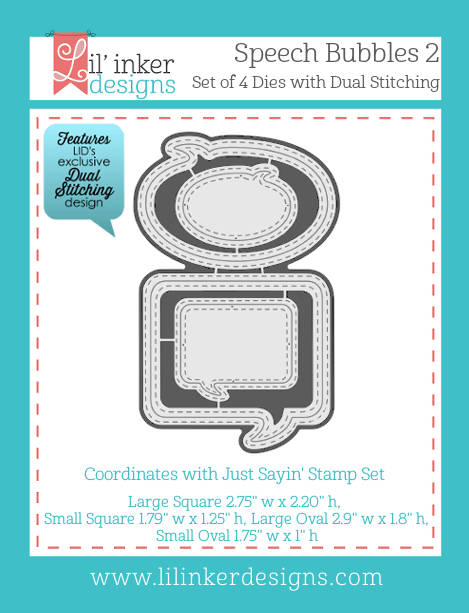 Makes it super easy and fun to layer together! 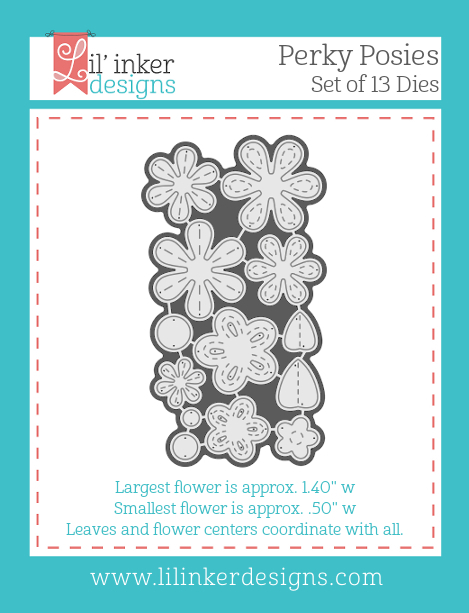 I cut the outline in white, layered green behind the leaves, and a medium pink behind the flower. 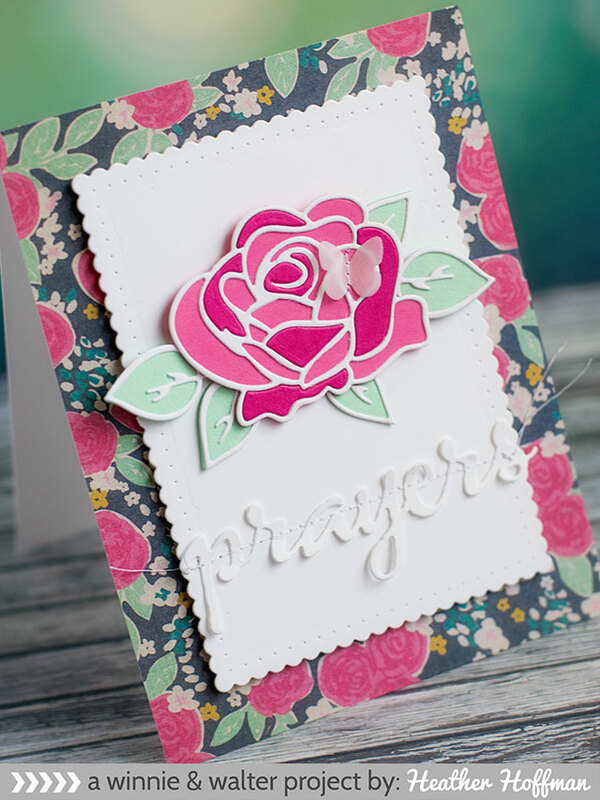 I then die cut the outline again in a deeper pink, and pieced in a couple of the places to add some depth to the rose. 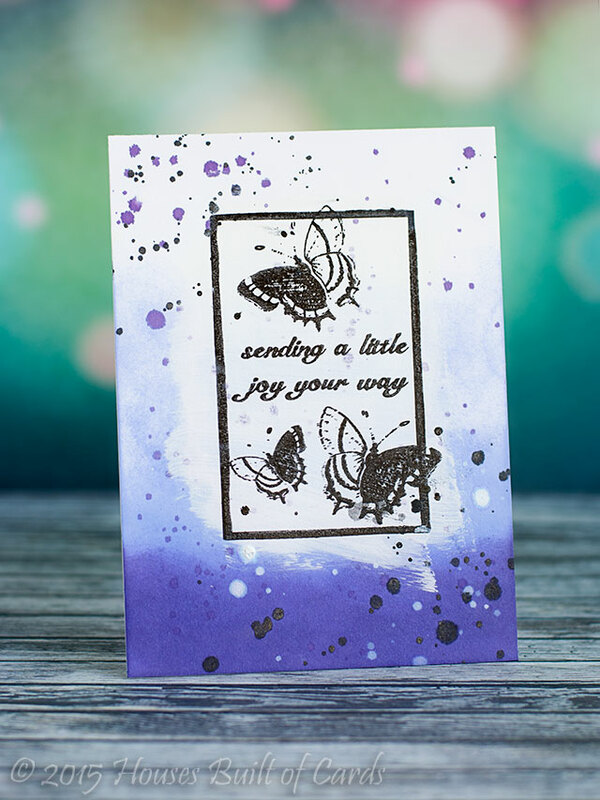 I die cut with vellum one of the tiny butterflies from Essentials: Audrey Cutaways (LOVE all the little extras on this set!) - and attached it with some machine stitching. Attached the rose with foam adhesive, tucked the leaves in with some glue at the base, then added some foam adhesive under the outside of the leaves for more dimension. Finished off by die cutting the large "prayer" word in white and attaching it with machine stitching as well, then attaching the entire front panel with foam adhesive to some lovely Crate Paper pattern paper. Thanks so much for stopping by today! See you again tomorrow for one more day of sneak peeks before the release on Friday! Have a great day!!! Good morning! 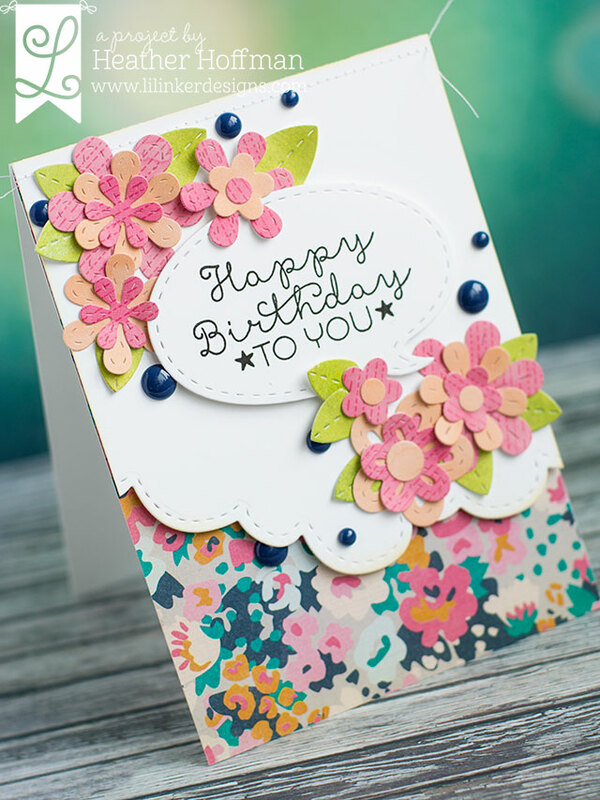 This morning is my last post as guest designer over at the MFT Challenge and Inspiration Blog! I had the privilege of posting along with the design team every Wednesday this month for the sketch challenges. Thanks so much Susan for inviting me - I so very enjoyed this month! Here is a peek at my card for today's sketch - head over there to see the full card, and what the design team has made for the sketch! 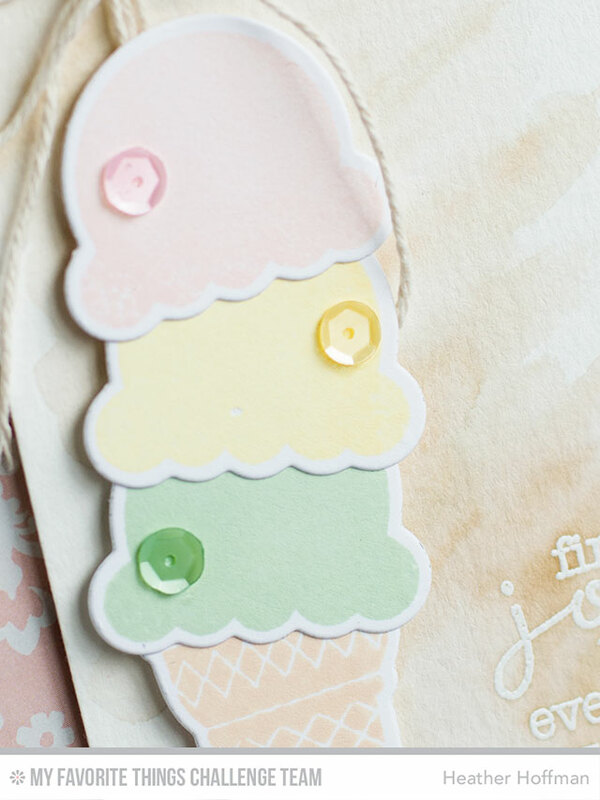 I used some watercolors and soft pretty colors to make a triple scoop design! I started off by trimming my cardstock, and adding an angle cut on the bottom. (The top angle cut happened after I got a finger smudge on it, naturally after the image was colored and everything - I was really worried I ruined it, but was pleasantly surprised with how well it worked!) I stamped and built my scene, then colored it in with Copic markers. Tucked a doily under the edge, wrapped some jute twine around, attached with tiny staples to keep it from sliding, and attached to my MME woodgrain pattern paper. Thanks so much for stopping by today! See you again tomorrow for even more! Have a great day!!! 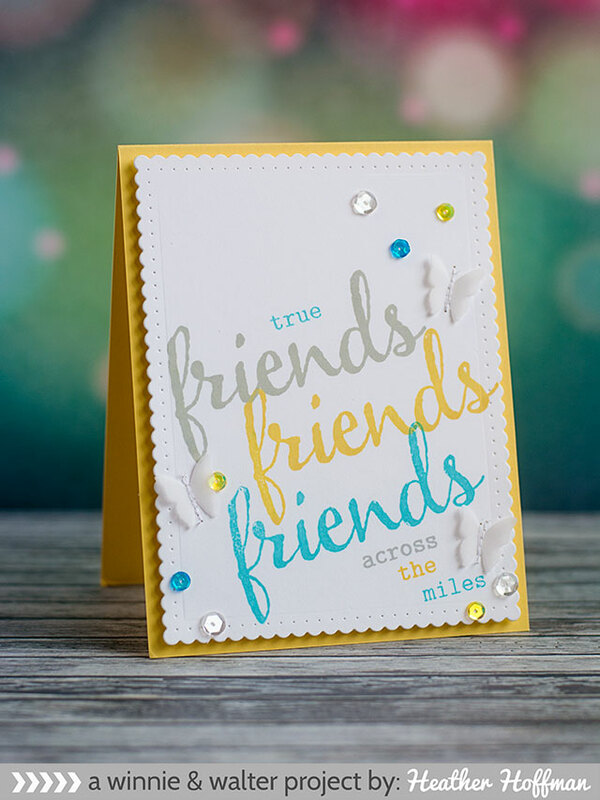 I used one of the new release stamp sets being showcased today called The Big, the Bold, and the Friends - as well as a die set that will be shown later this week! (Shhhh....!) 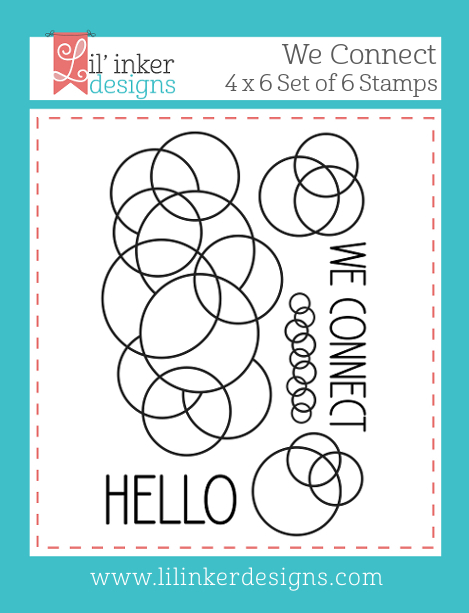 I stamped the large word 3 times in coordinating ink from Simon Says Stamp, then added the small words in the same ink. 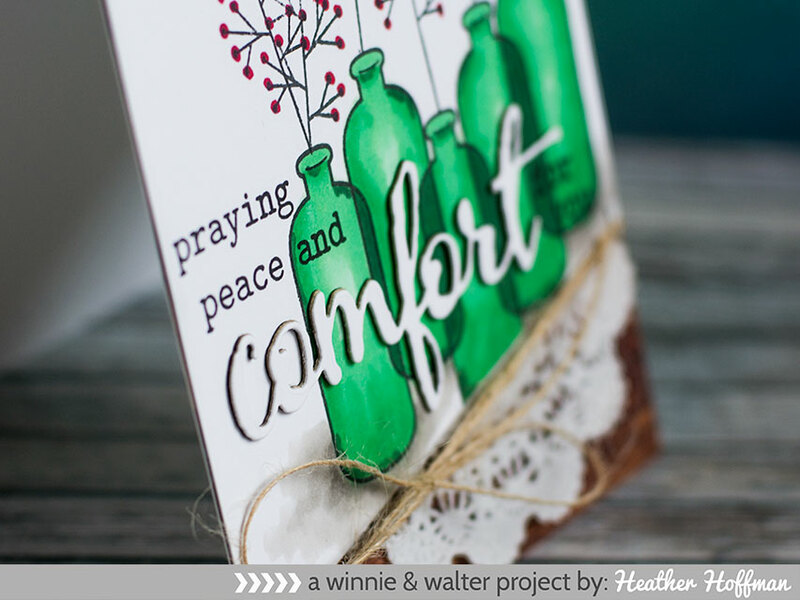 I absolutely LOVE building my own sentiments with Winnie and Walter stamps! I machine stitched on some little vellum butterflies (part of that same die set that you will see more of later this week!) 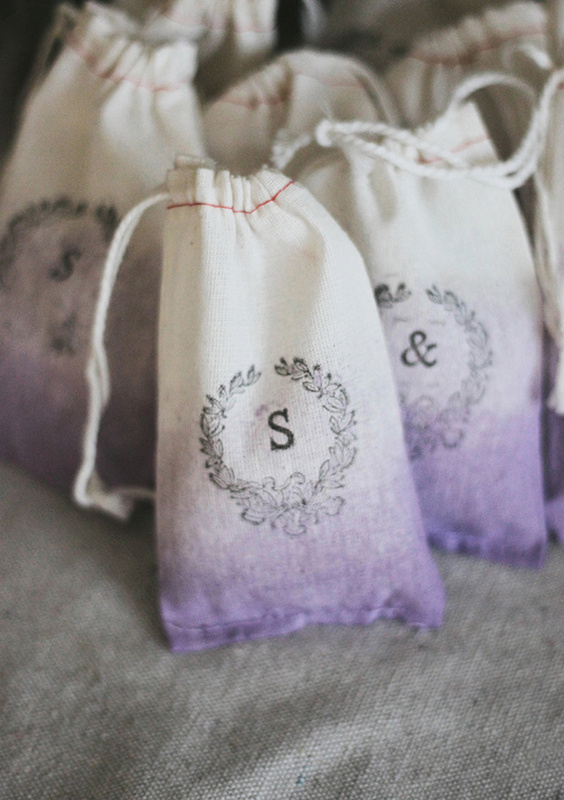 and a few of the beautiful sequins that Winnie and Walter always include with orders - they were a perfect match! 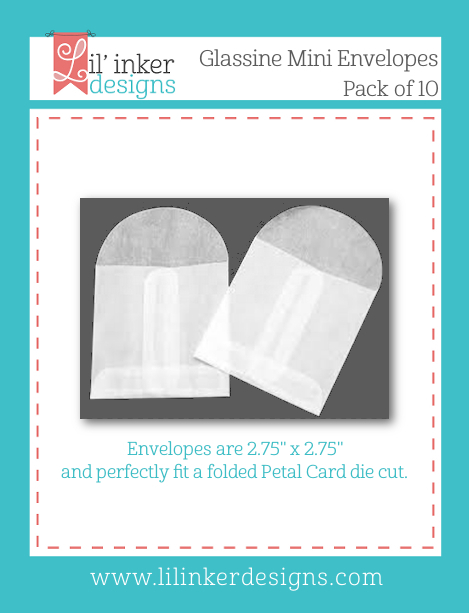 My card base is PTI cardstock. Thanks for stopping by today! I will see you again tomorrow with even more projects!!! Good morning everyone! 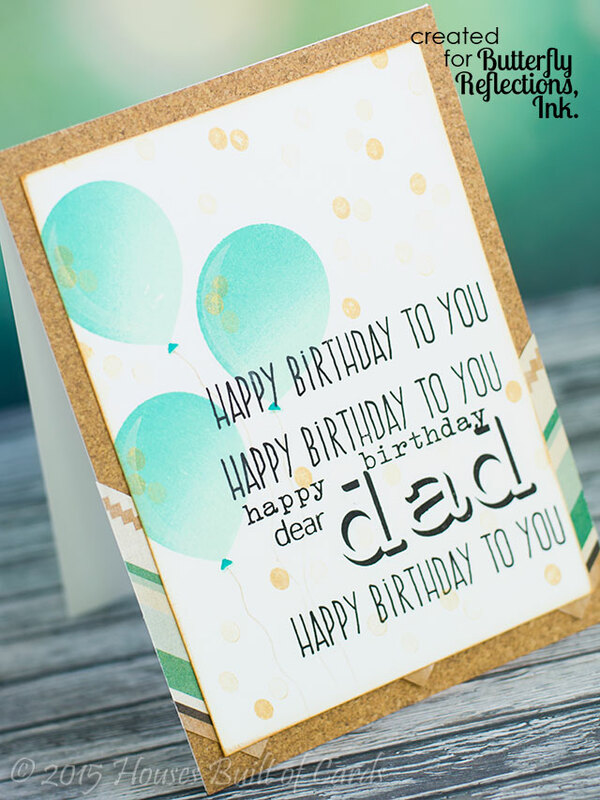 I'm posting again this morning on the Butterfly Reflections Blog sharing this card I made for my dad's birthday last week - he turned 70! Definitely a big one that needed to be celebrated! We were able to pull off a surprise party for him after church Sunday before last - which was amazing! We were so happy to have been able to surprise him that way! 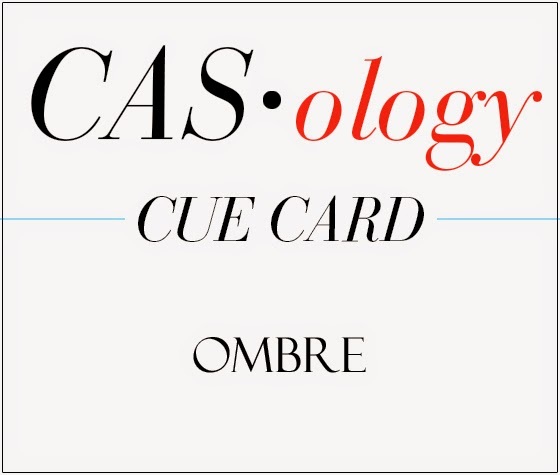 Since this was a guy card, I wanted to make sure it was simple and masculine - which is always a challenge for me! I used some pattern paper from Crate Paper's 6x6 Journey Paper Pad - fussy cutting those chevrons out to add some fun color. 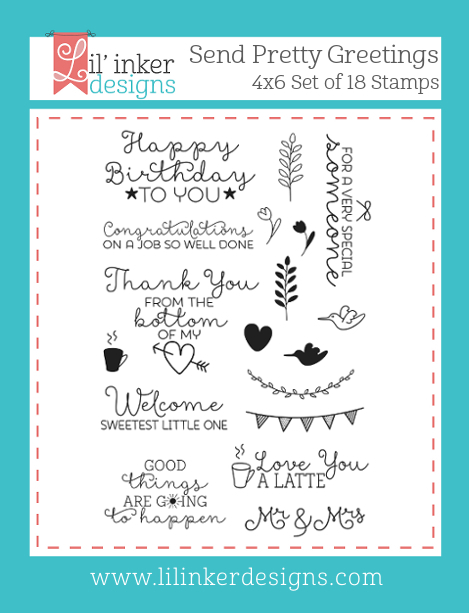 I built the sentiment using Altenew's versatile Birthday Greetings Stamp set - I make more birthday cards than anything else, and I love having lots of fun options to build the sentiment I want! 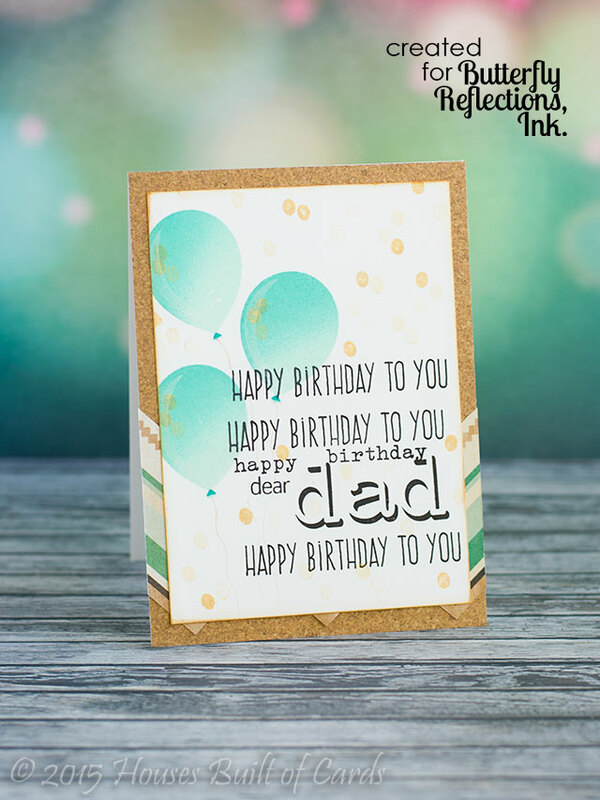 I used another Altenew set to stamp the "dad" to personalize it, and you might notice that I stamped out the entire birthday song by masking my sentiments a little bit! 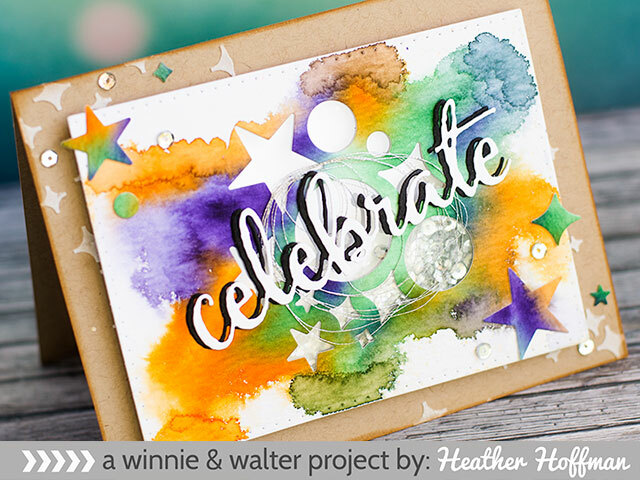 Finished off by stamping the balloons from the same set and Hero Arts Ombre ink pad (SOOOO fun for balloons - I'm in LOVE with it for that I think! 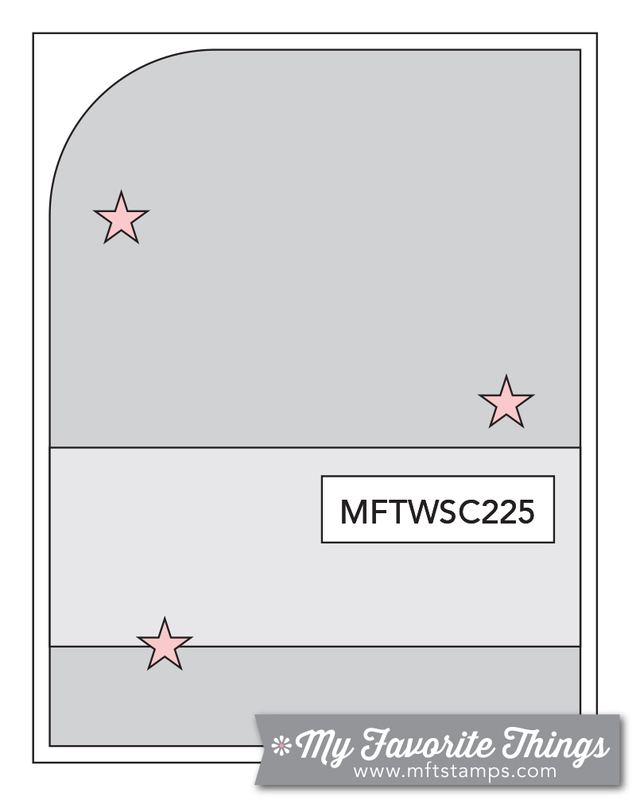 ), and some confetti using a tiny dot stamp from that set. I was inspired by the colors and patterns on the roof from the Altenew Challenge, as well as those red pillars. 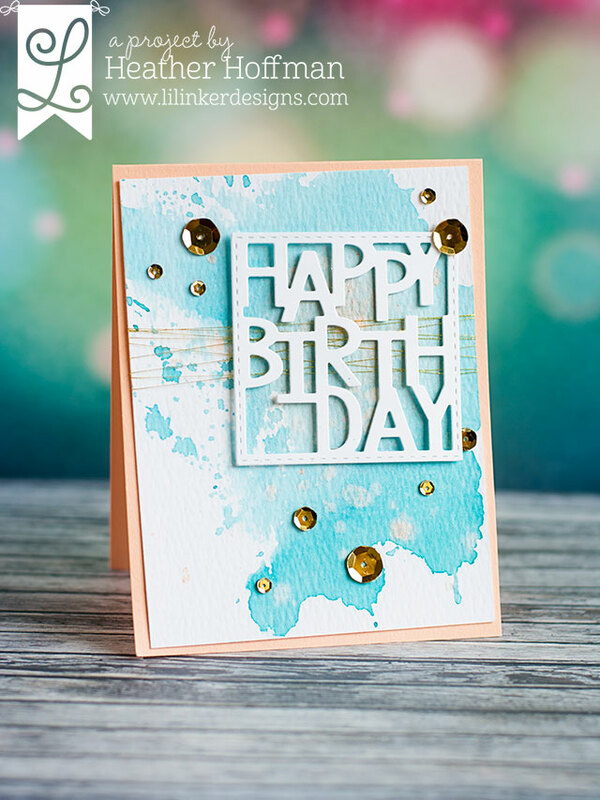 I started off by using some Heidi Swapp Color Shine to add a gold wash to my background on some watercolor paper, as well as a few bigger splatters. After that dried, I stamped some florals from Persian Motifs in some softly colored MFT dye ink - LOVE the subtle texture this gives! 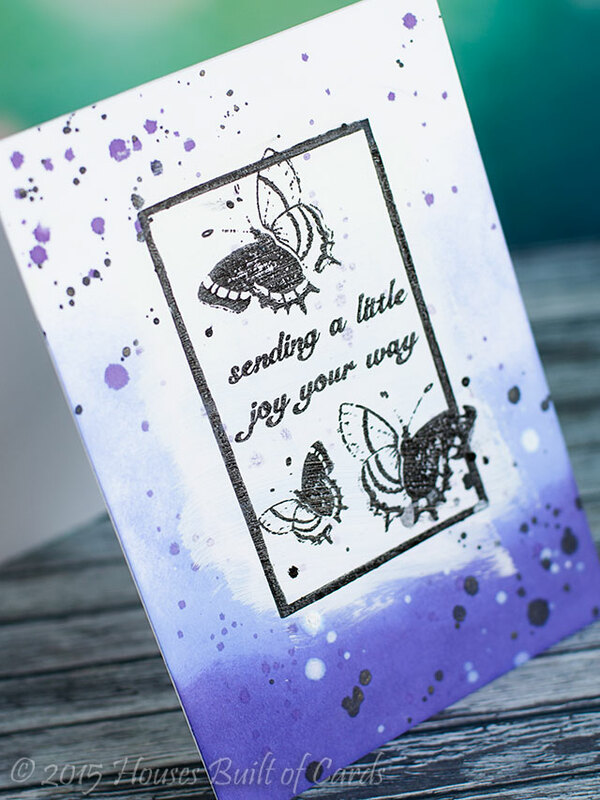 Next, I stamped the ombre thanks from Halftone Thanks on vellum and heat embossed. 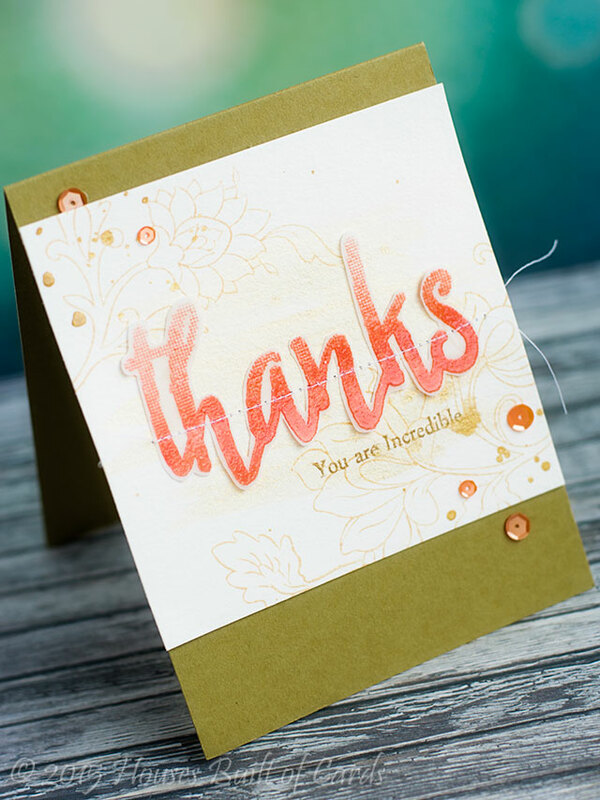 To get that color, I inked it up with watermark ink, then inked over the top with the MFT dye ink color I wanted, stamped, and heat embossed with clear powder. I fussy cut it out (since I don't have the coordinating dies! 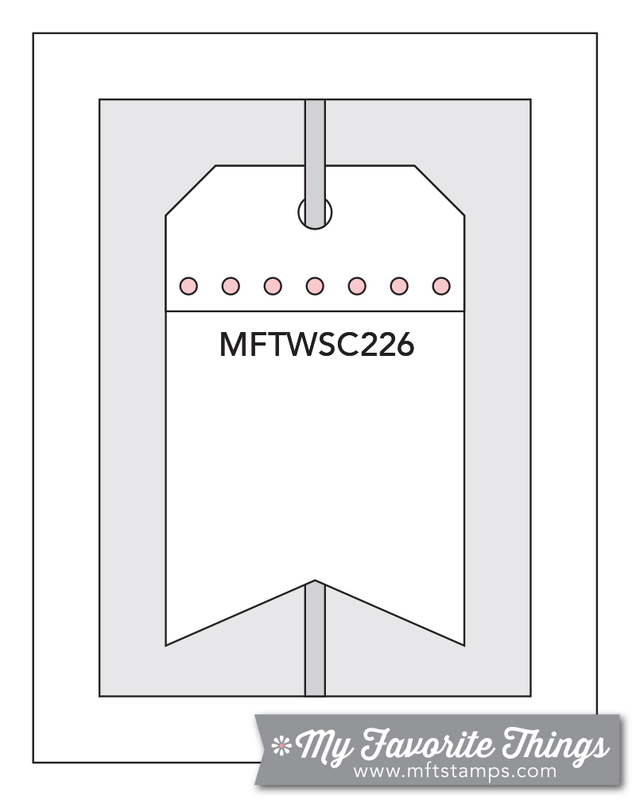 ), and attached it with a line of machine stitching. Finished off by adding the little sentiment from Persian Motifs, and a few Pretty Pink Posh Tangerine sequins. 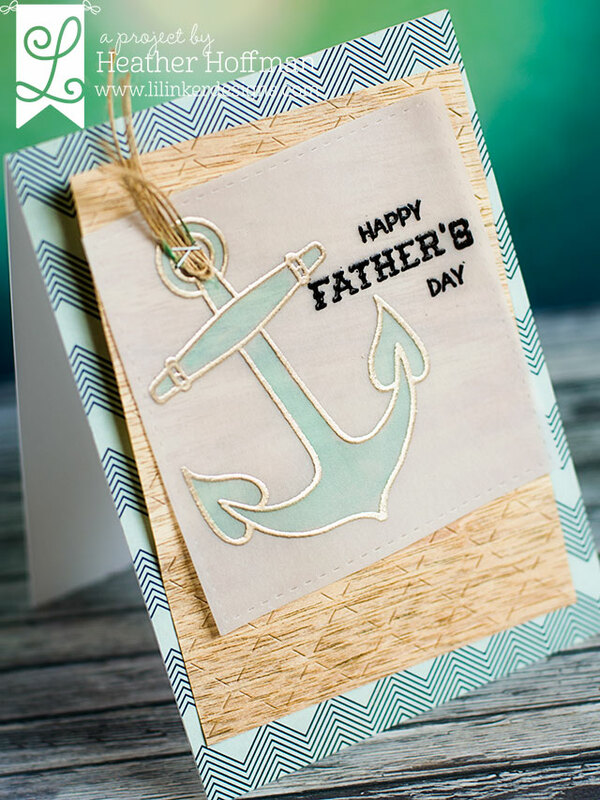 I used some distress ink in two colors, and blended from the bottom, then used some canvas paint to make a panel in the center to stamp my image. I almost wish I had just left it ombre there, but I was having fun playing! Allowed plenty of time for that to dry, then stamped my image from the current Kit of the Month, then added some splatters of ink. 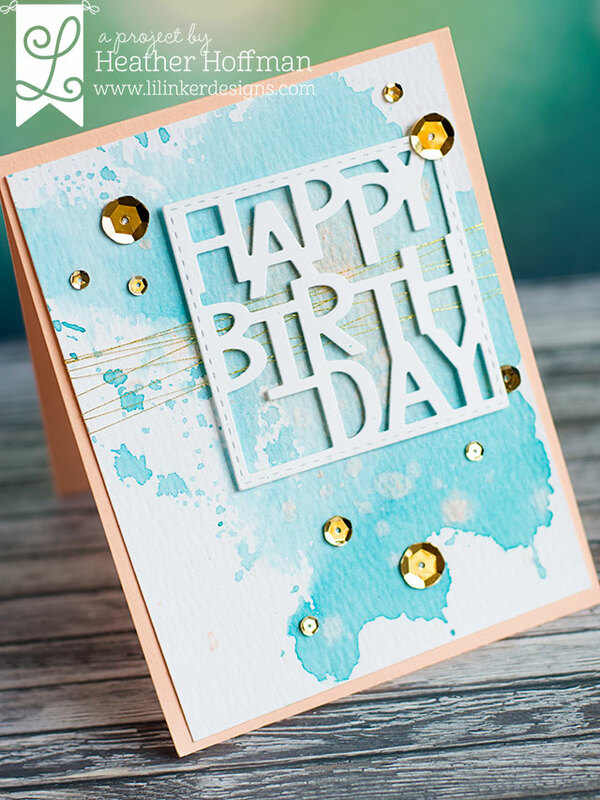 A simple one layer card! Hope you are having a wonderful day - have a great weekend! Good morning! 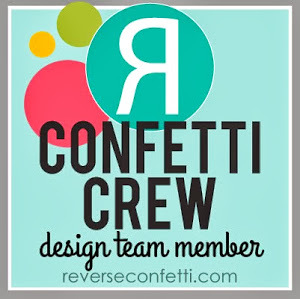 Posting again this morning as guest designer over at the MFT Challenge and Inspiration Blog! I'll be posting along with the design team every Wednesday this month for the sketch challenges. Here is a peek at my card for today's sketch - head over there to see the full card, and what the design team has made for the sketch! 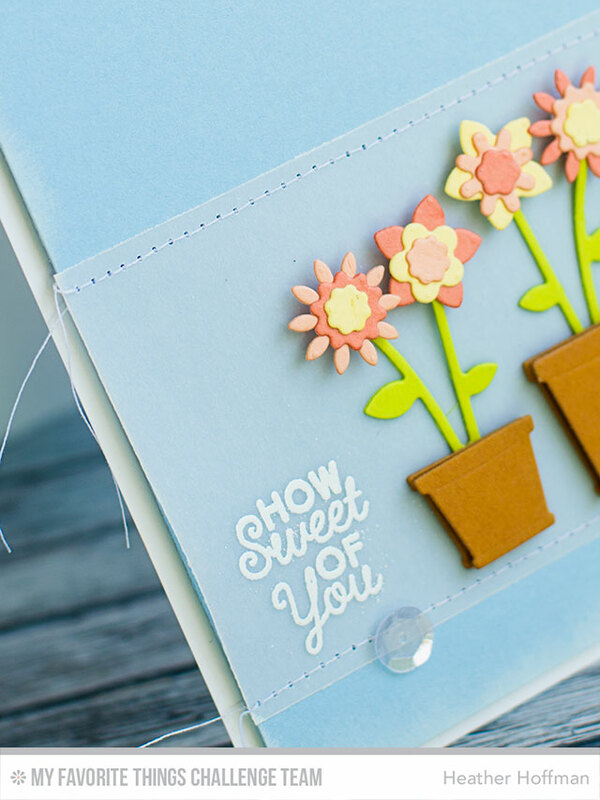 I am celebrating spring with my card today! Hello! 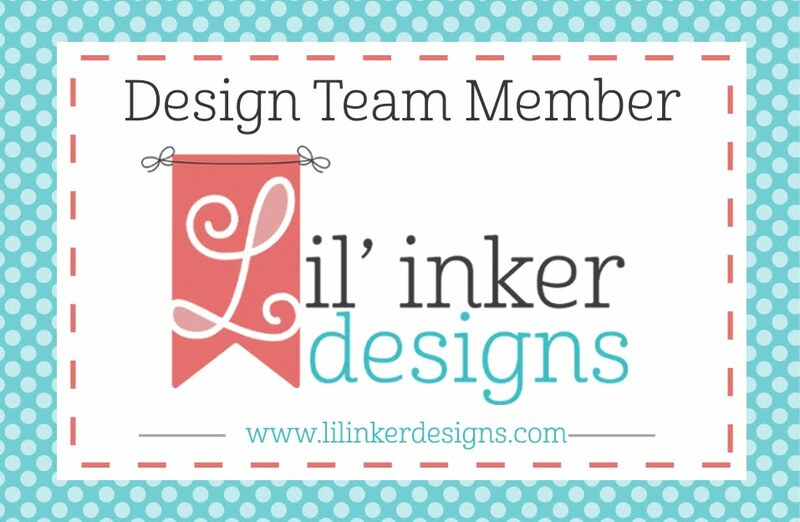 Welcome back for the third and final day of sneak peeks for the new release at Lil' Inker Designs - I hope you have enjoyed hopping along with us all as we got to share all the fun projects we have been making with these goodies! I used some Heidi Swapp Color Shine and the smooshing technique (again!) 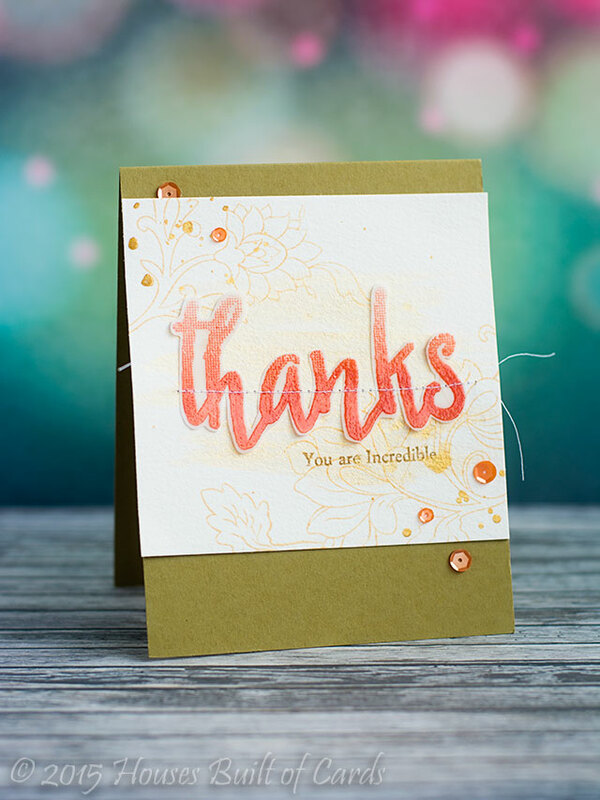 to create my watercolor background - then, even though it is hard to see in the photos, added some splashes of the same thing in peach. LOVE how vibrant and pretty that color is! I twisted some gold thread around the watercolor panel, then attached the die cut over the top using tiny pieces of foam adhesive for a bit of dimension. Attached it at a slightly jaunty angle on some peach MFT cardstock, then added several sizes of gold Pretty Pink Posh sequins. 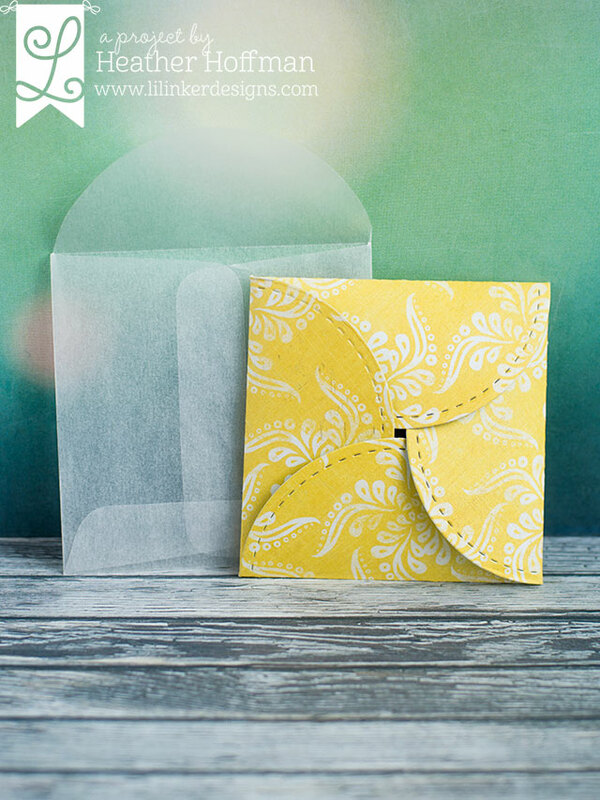 Next up - there is a fun new die, made to perfectly match some adorable little glassine envelopes - perfect size for a little gift card to attach to a small gift! 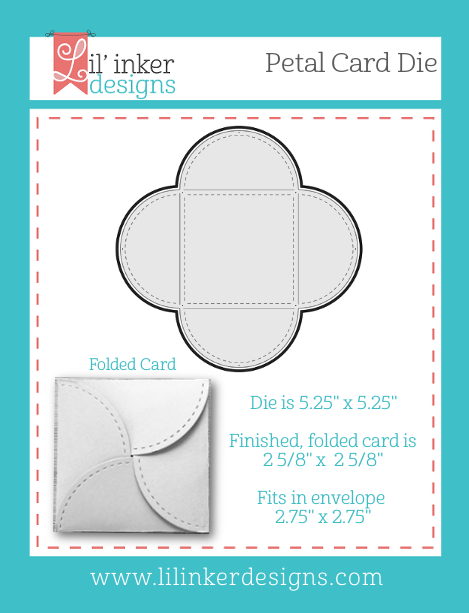 I die cut the petal card out of double sided cardstock - that way both the inside and outside are pretty! 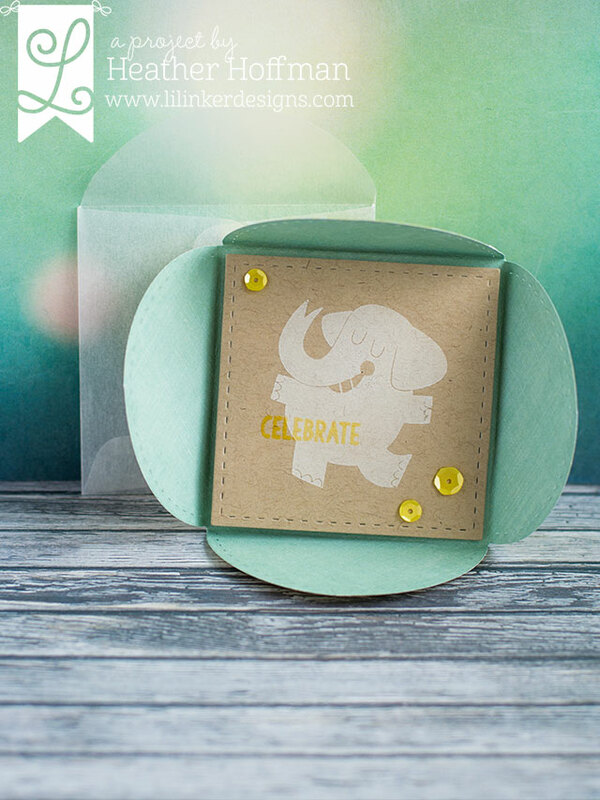 I die cut a square using Dual Stitched Square Dies out of kraft cardstock, then stamped that darling elephant on it in white pigment ink. 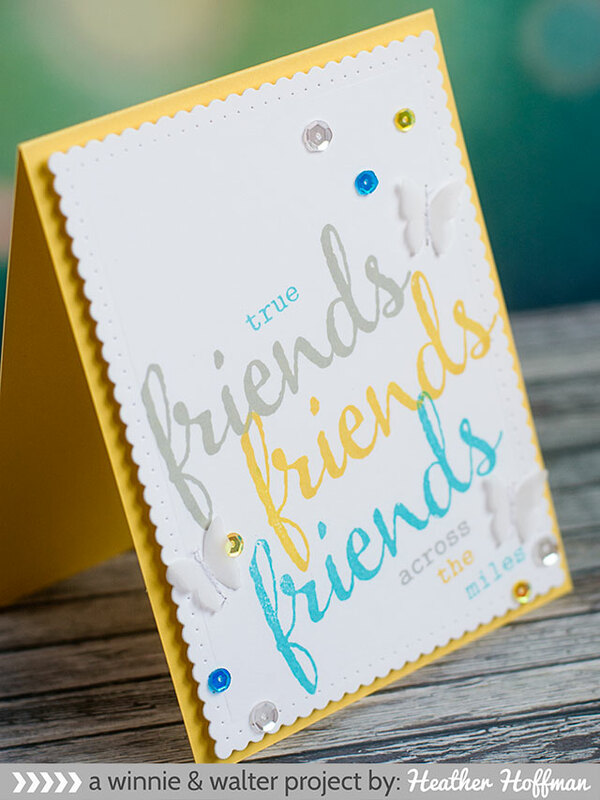 Added the "celebrate" in yellow die ink over the top, and added a few coordinating sequins. Hello! 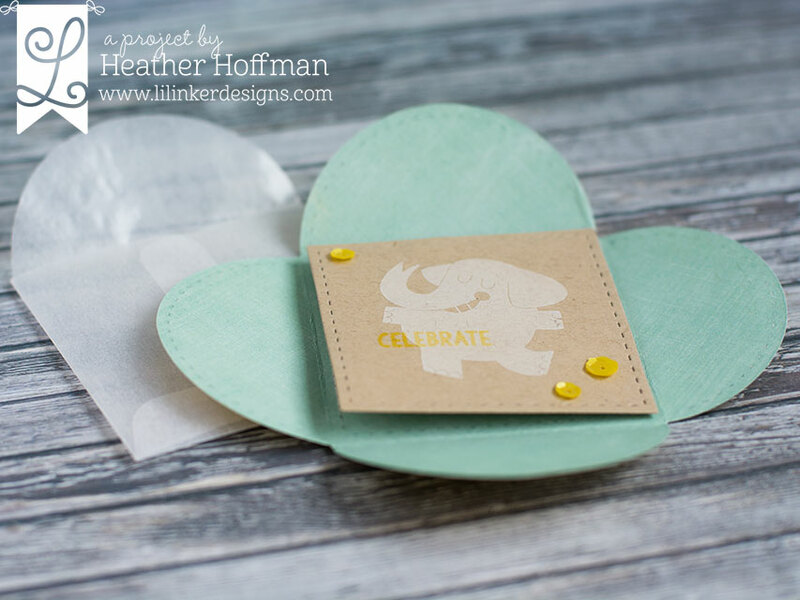 I'm posting an extra card today that I made over the weekend - I have been super busily working on DT stuff, and this new set from Mama Elephant had been sitting on my desk waiting for some love - so I thought I would make a card just for fun! Always nice to do! :) I also have wanted to play a bit more with distress inks and making a background - something I don't feel that good at, even yet, but it sure was fun on this card! I will definitely be playing more with it in the future! 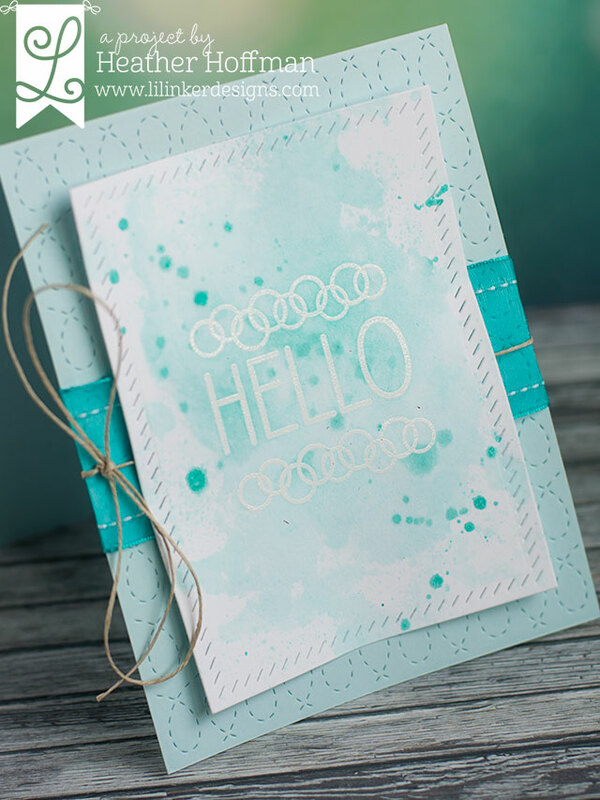 I first created my background by blending distress inks together, adding some droplets of water, and a few flicks of shimmer mist. 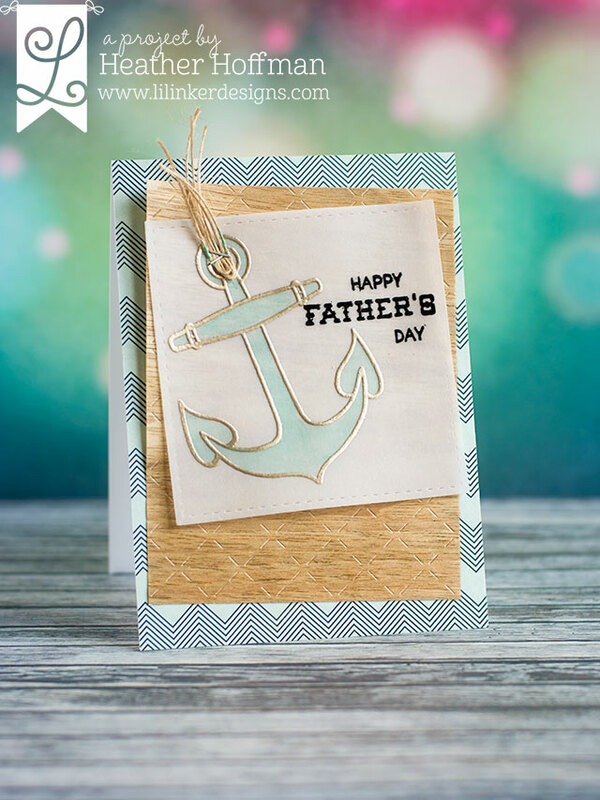 I die cut that panel using Index Card Dies, added a black mat, and then a die cut scallop in white from the same die set. 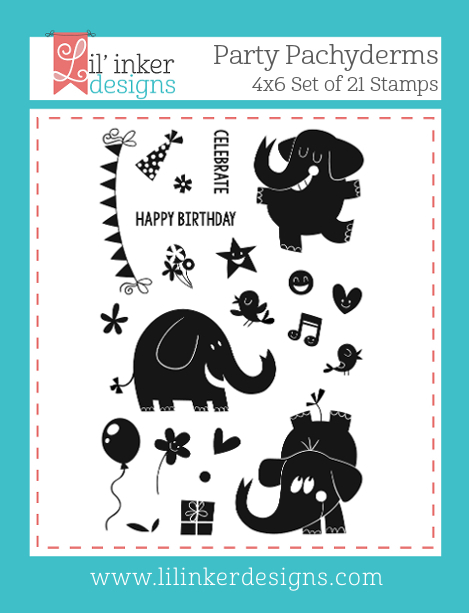 The black border on the bottom was cut with Landscape Trio Die. 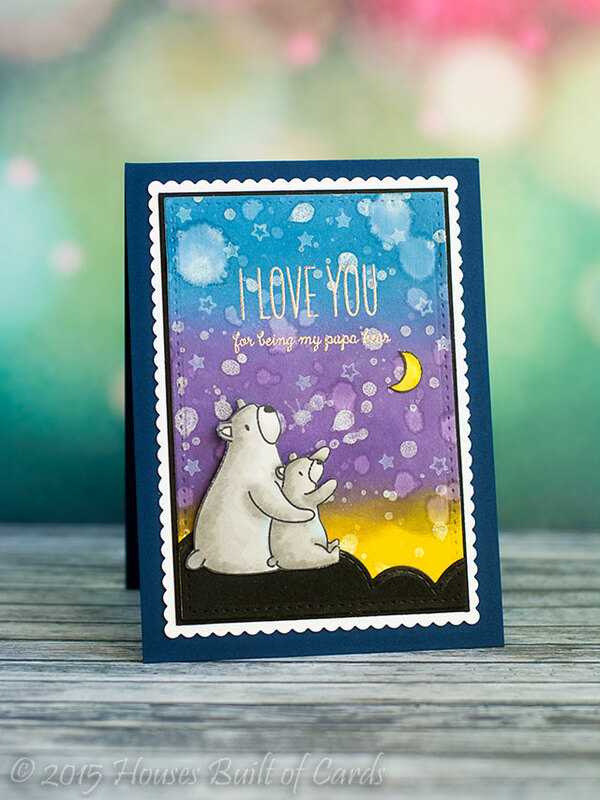 I stamped the sentiment from Bear Hugs and heat embossed it, stamped the bears and moon, colored with Copics, and fussy cut out before adhering. 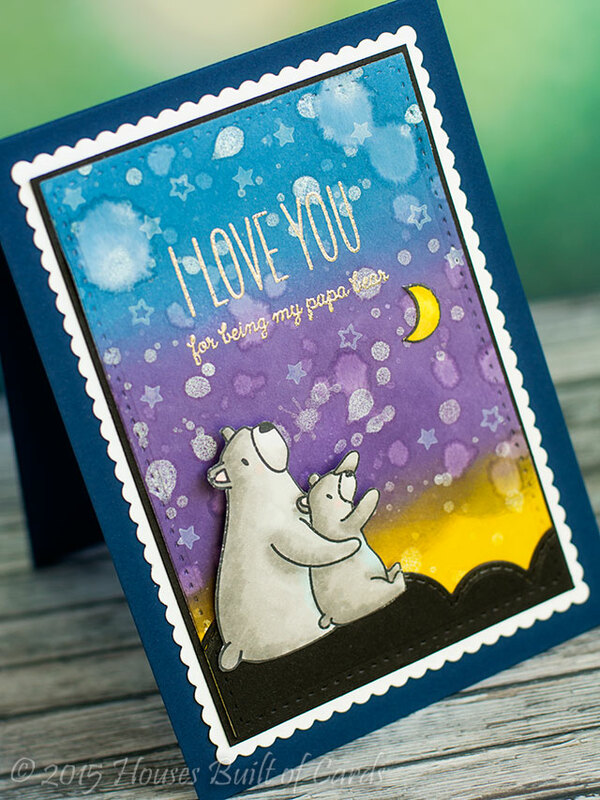 Added some tiny stars from the set stamped in white pigment ink over the background to add to the starry sky feeling. Hello! 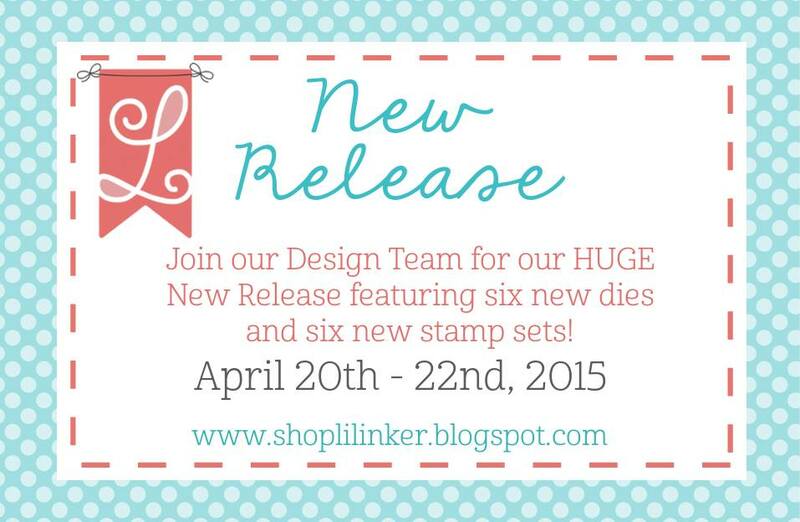 Welcome back for the second day of sneak peeks for the new release at Lil' Inker Designs - this is a HUGE release, so full of fun stuff! 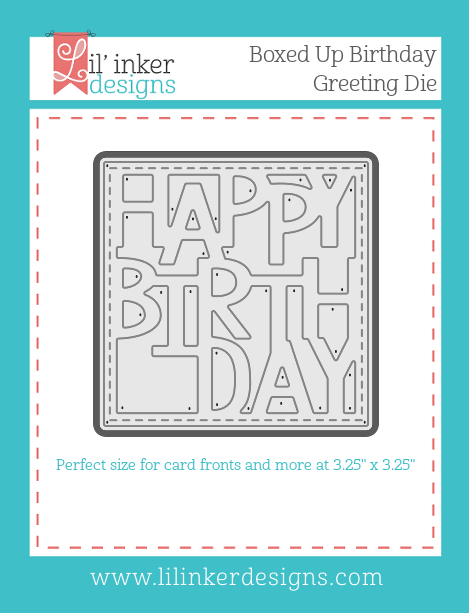 First up - this card was all about the die cutting! I used scrap paper to cut all my flowers, and some Crate Paper pattern paper for the base layer. 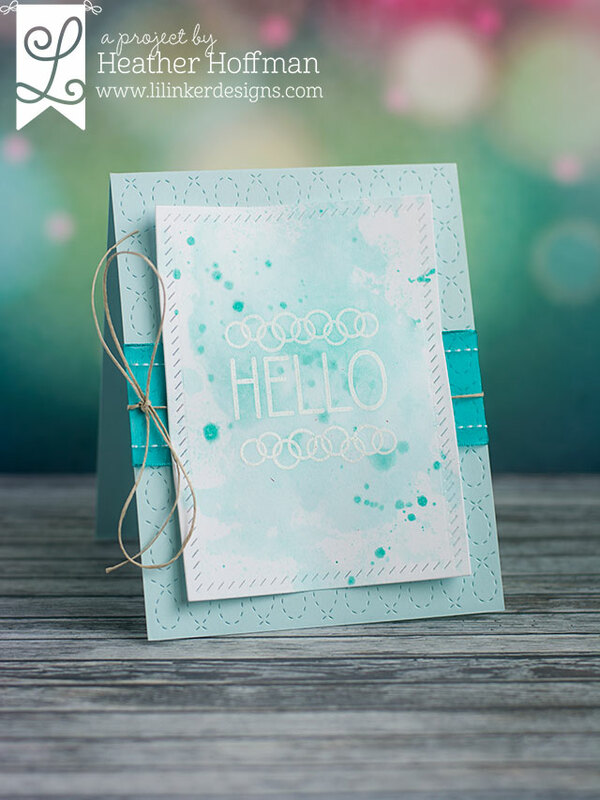 The lovely border was cut with Border Builders die set. I added a row of machine stitching, some distress ink, foam adhesive between layers, and a few enamel dots to finish it off! Here is the new set I used for this - can't wait to play with it more! Looks so fun to color with Copics as well as watercolors! 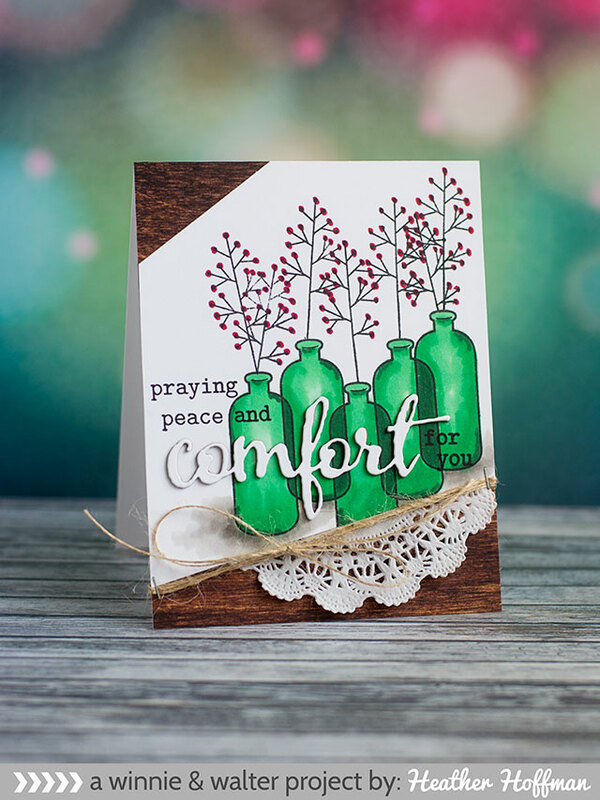 For this one, I used Quilted Swirl Stitched pattern die for the card base, with some May Arts ribbon and hemp twine tied on. 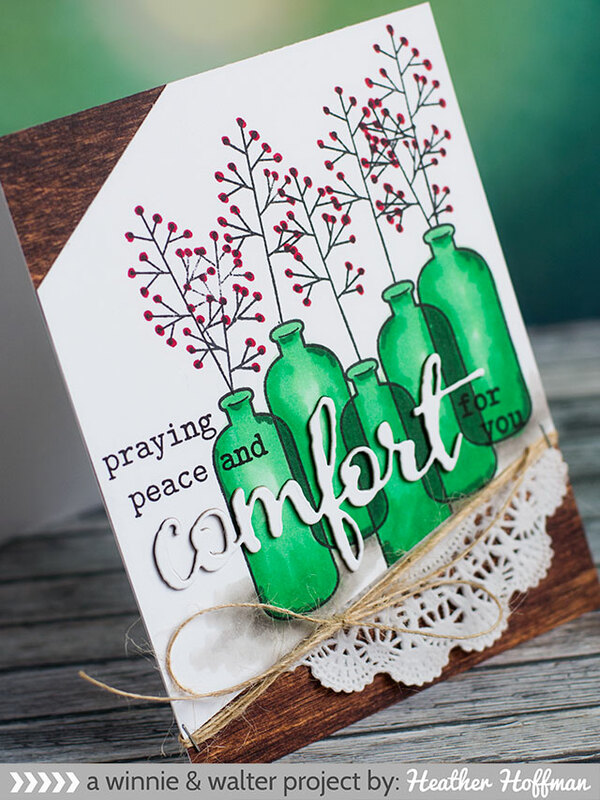 I cut a Side Stitched Rectangle from watercolor paper, heat embossed my image and sentiment in white on it, then used some Mister Huey's mist, water, and clear acetate to "smoosh" my color on to the card. Also added a few splatters of more concentrated ink after it dried. As us normal, the watercolor paper curled up a bit - but instead of straightening it out with a heat gun, I decided to enjoy the texture it gave! I just used a bit of foam adhesive to attach it. And finally - I love nautical things, and this anchor caught my eye right away! 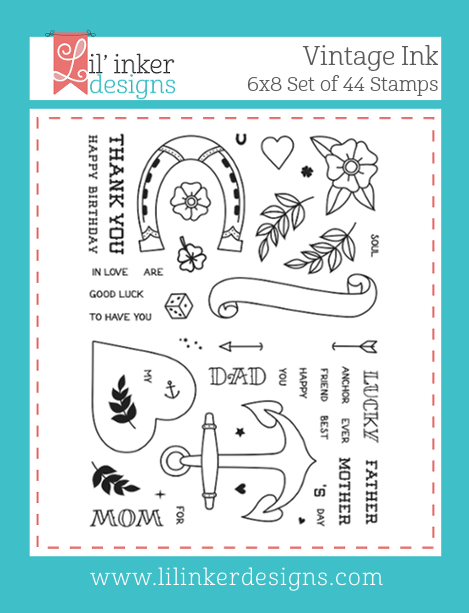 Here is the amazing set that contains it - it is a super big stamp set, and FILLED with fun goodies! 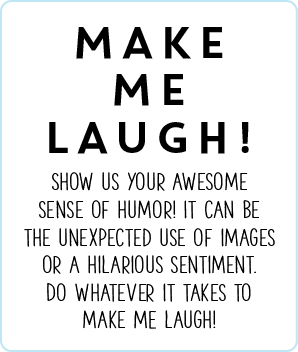 Let's Celebrate - Gossip Column Challenge! Light it Up Blue - and some exciting news! 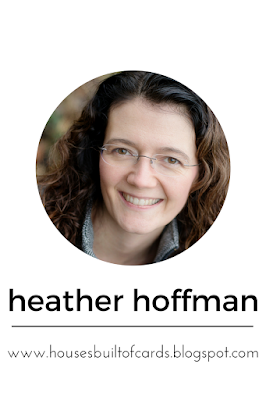 Many Birthday Wishes - and some fun news! Guesting at MFT Challenge and Inspiration!